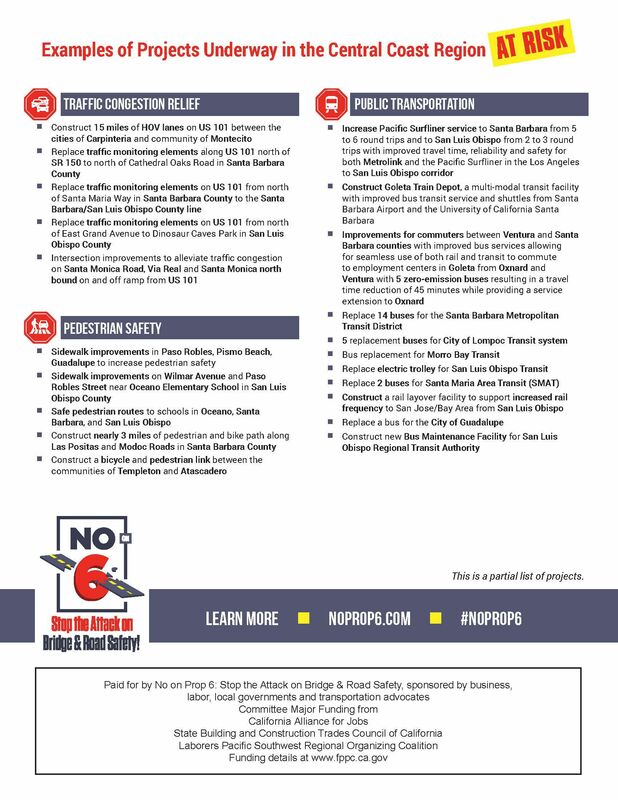 Vote NO on Prop 6. We must Stop the Attack on Bridge and Road Safety. 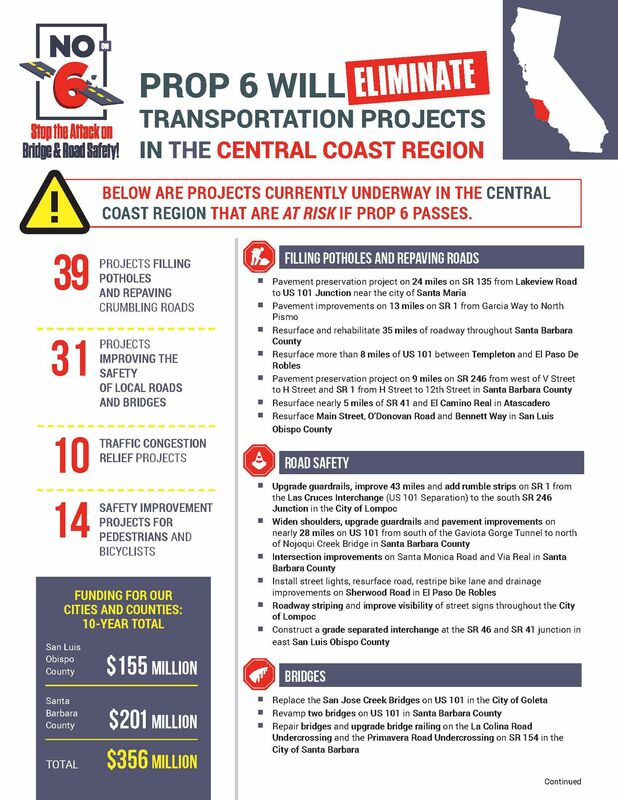 Learn more on on which projects are currently underway in the Central Coast region that are at risk if Prop 6 passes.